The Container Store is the source for the excellent hat boxes that are used to store, transport, and protect all costume head gear, including THE RIDDLER'S designer bowler hat and face mask. Esty.com vendor Nokturnel Eclipse fabricates incredibly high-quality leather masks for theater and cosplay. 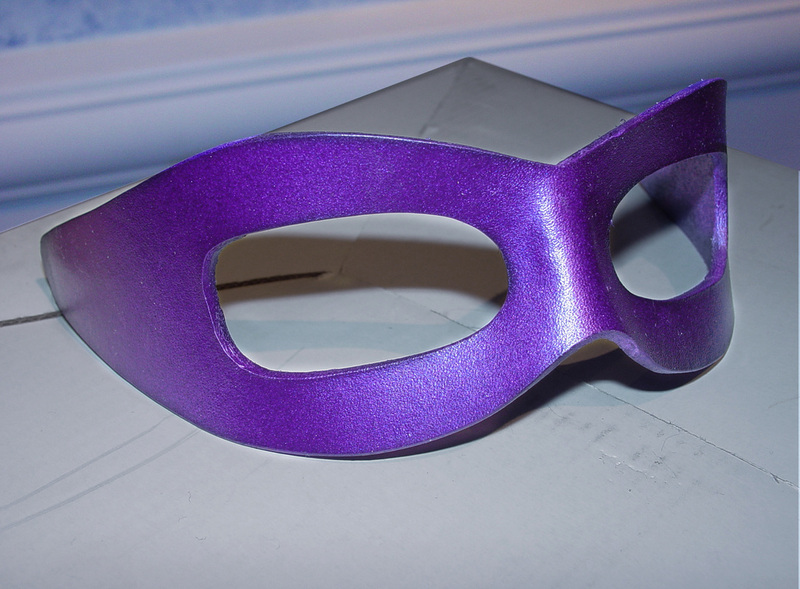 This is the mask that Costume Designer Roberto Williams selected for THE RIDDLER'S costume. 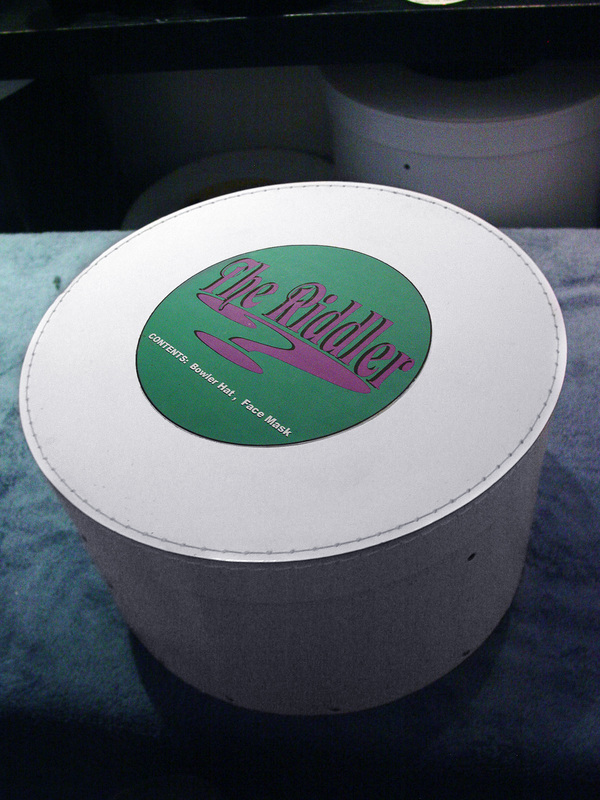 Costume designer Roberto Williams utilized a high quality kelly green bowler derby as the basis for the Riddler's hat. 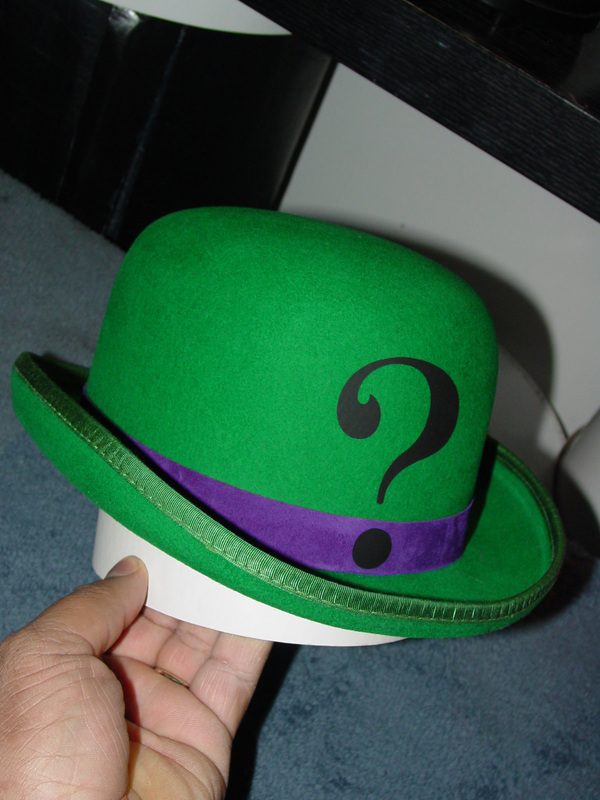 The original one-inch wide green hat band was replaced with a purple suede band (cut from the same suede used to fashion The Riddler's gauntlets and belt). The final touch was to add a 3" question mark iron-on graphic (from Spot98) to the hat face.